Getting to your feet for the first time on a wave is an experience you will always remember. 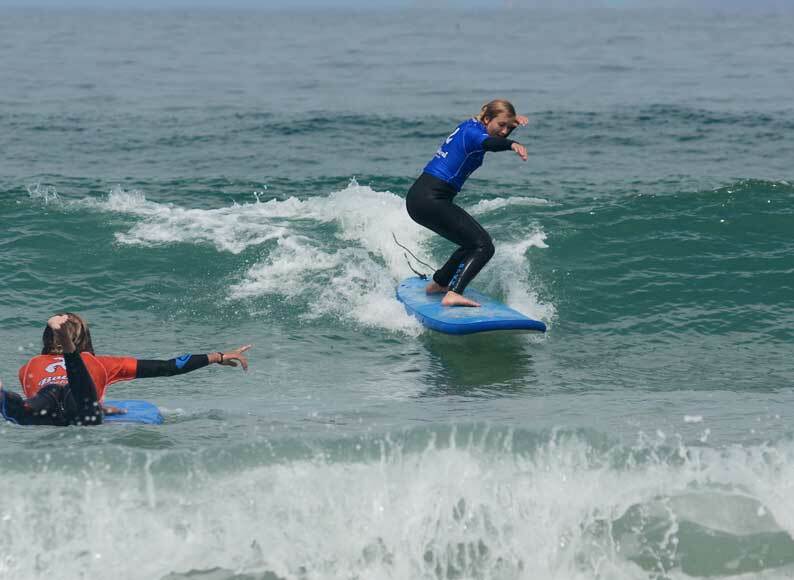 Our trained surf coaches are of the highest standards and will get you riding the ocean quickly and safely. 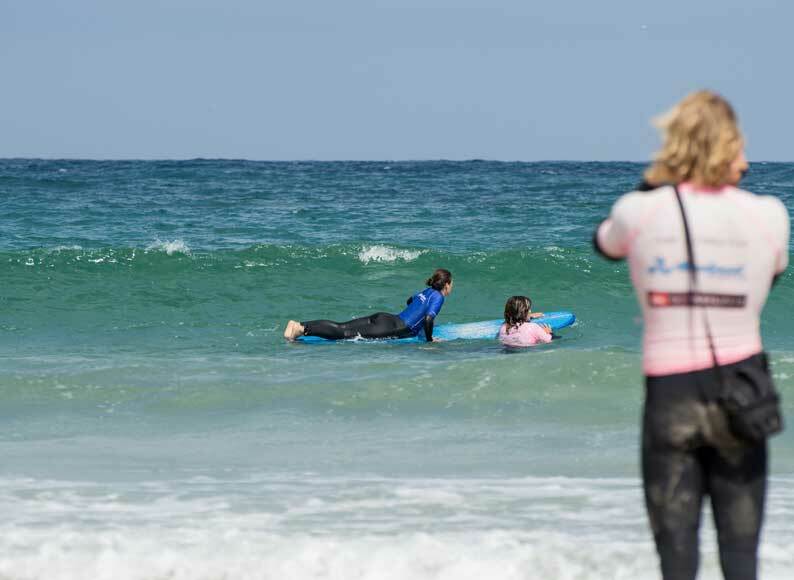 With a surf coach for every 4 people we can ensure that you master the basics to get you confident in the water and ensure that you receive the coaching you need. Using video footage of our students in the waves to review and correct technique we can help you quickly learn the vital fundamentals of surfing and get you up to your feet, onto the wave and into surfing. For those more experienced on the water looking to push their surfing up a notch out, surf coaches offer expert advice on intermediate and advanced surfing techniques take your surfing to the next level. 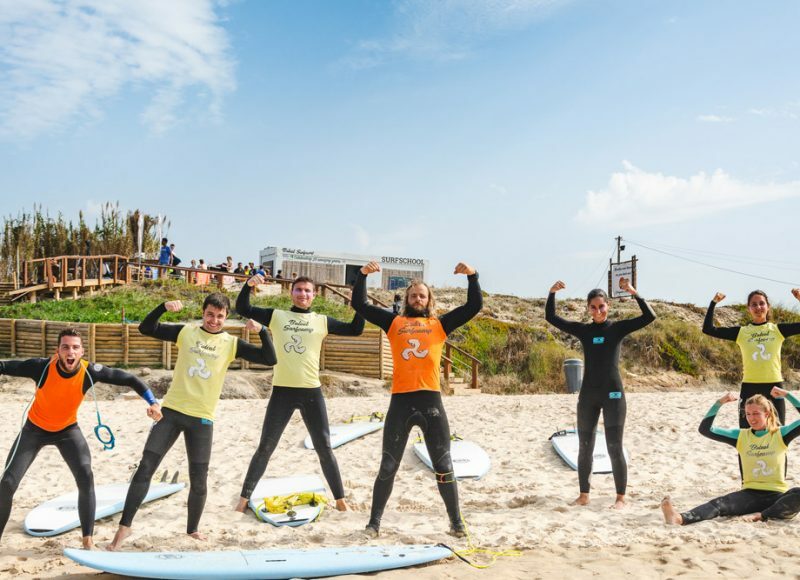 One of the great advantages of surfing in Peniche & Baleal is the amazing variety & consistency available within a short distance – nowhere in Portugal you’ll find a location with such surf potential and what we call the Wave Guarantee!